Catering by Seasons was recently recognized as a preferred vendor in Washingtonian Bride and Groom. To our brides and honored clients, we are proud to uphold this award, and happy to continue our growth throughout 2013. Our pioneering work in farm to table services and environmentally conscious business practices have put us a step above the rest! As part of our great accomplishment, Washingtonian invited us to participate in their prestigious event, the Unveiled Bridal Show at the Ritz Carlton in Washington, D.C. on January 27th. 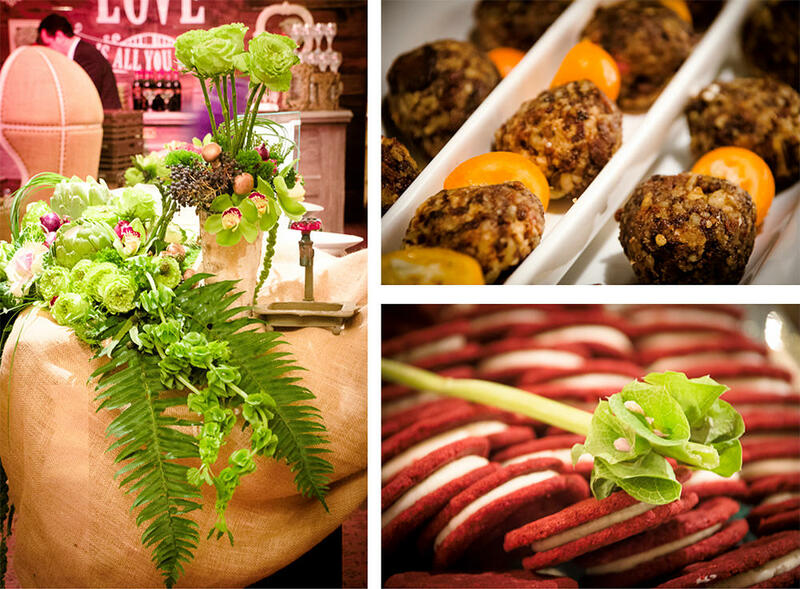 Our award-winning farm-to-table themed menu and rustic decor certainly stole the show, with brides, grooms, and other vendors coming back for seconds! Our menu featured new Cranberry and Butternut Squash Bruschetta with Stilton, Red Pepper Goat Cheese Truffles with Candied Bacon, our famous Avocado Corn Salsa on Wholesome Tri-colored Tortilla Chips, and our newest specialty dessert, Red Velvet Sandwich Cookies. 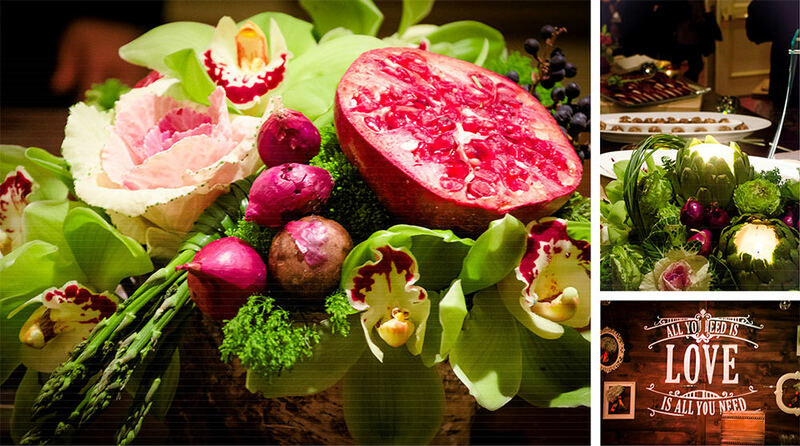 Floral arrangements, brought to us by Intrigue Designs and Decor, beautifully accented the farm to table theme. Rustic burlap, hearty artichokes, greens, and bright purple highlights worked perfectly with the elegant wooden bar. People were drawn in and wowed by the amazing presentation! The rest of the show featured seasonally themed decor and drinks. 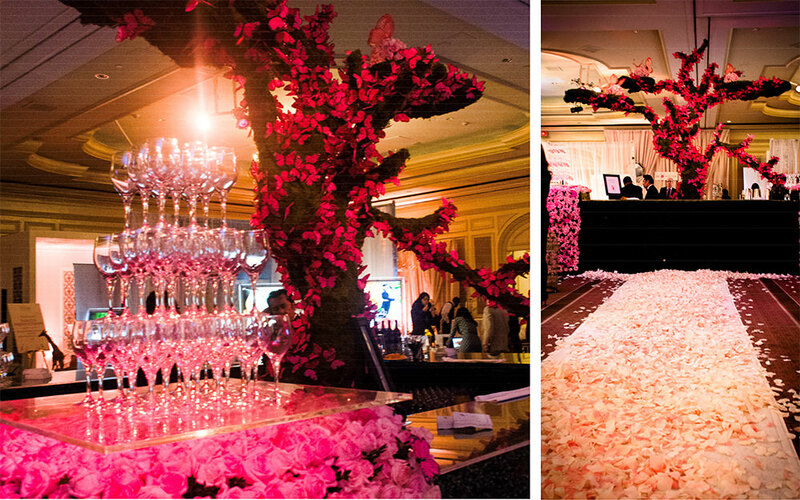 Featured above is the Spring-themed bar, with pink buds, dozons of real flowers, and elegant pedals spread across the floor of the ballroom. To see more photos of the event, go to Washingtonian Unveiled. Like what you see? Contact us at inquiry@cateringbyseasons.com for more information. Our talented event managers are happy to work with you through every step of your next event.